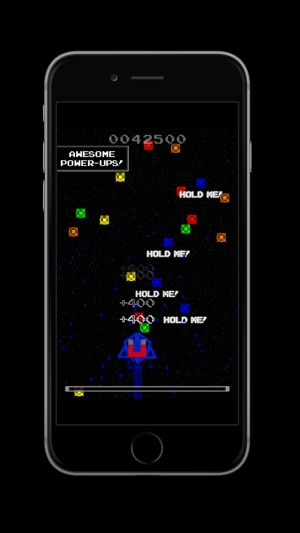 Lightspeed Bit Bit is a unique retro neon stylized arcade game. The simple one finger control makes it easy for anybody to pick up and play, but it's also challenging without being frustrating. This game has three awesome game modes. ◊Bit Bit Mode: This is the main mode of the game. There are three difficulties-Easy, Medium, and Insane. Your ship loses a little bit of health every second and also when you collect the wrong color bit. You must collect bits that match the color of your ship to add to your health and score. Your ship randomly changes color and each ship has its own personal chiptune music theme. There are also power-ups that randomly appear. There is a Gamecenter leaderboard for each difficulty. 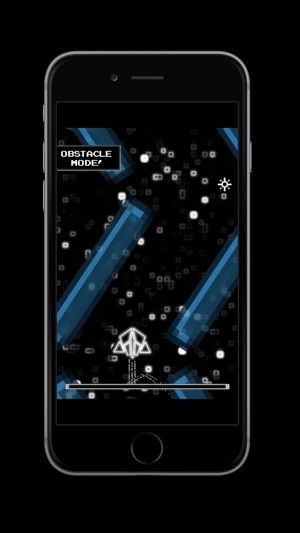 ◊Obstacle Mode: Your goal in this mode is to reach the finish line. Each level has 3 stars that can be collected if you want to challenge yourself. Watch out for the cosmic blocks, they do massive damage. 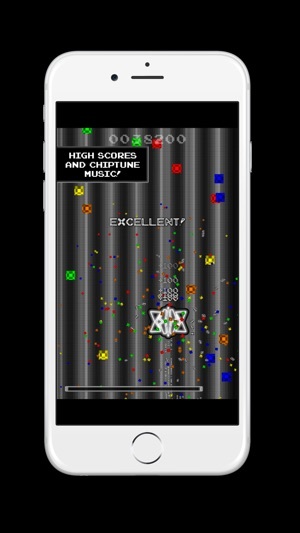 ◊One Bit Mode: This mode is locked until you meet or surpass 50,000 points in Bit Bit Mode. 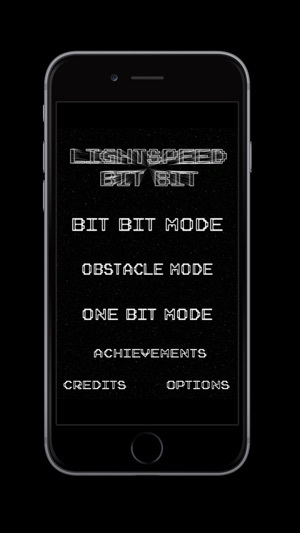 One Bit Mode has the same concept as Bit Bit Mode, except there's only one difficulty…….Brutal. Your ship changes color every time you get the correct color bit, but if you get the wrong color bit…..it's gameover…….until you press restart. Bits! Bit bits! Bit bit bits! 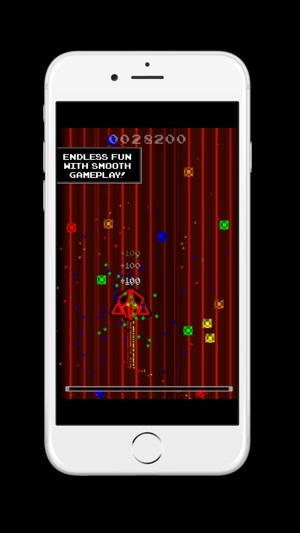 You can view the gameplay trailer on YouTube at http://www.youtube.com/watch?v=I0XzCoTb1AY or just search "Lightspeed Bit Bit"
When the ship changes color, the game changes, and the music! A bit of performance improvements and optimizations. Enjoy! Take care! The game was almost perfect, i just think you should make it move instead of teleporting to the touch, and that it shouldn't be on top of the thumb. With counting that, your game is perfect! This is a fun little endless game. Great for quick pick-me-up moments. The game is simple but has a cool theme. Game runs smooth and the graphics fit the game very well. Reminds me of the game Pac-Sam. But this game has much better graphics. It definitely has a retro feel to it. Recommended.